Home › Ask the Vet › Does Your Overweight Horse Need to Lose A Few Pounds? Does Your Overweight Horse Need to Lose A Few Pounds? I have acquired an overweight horse that needs to lose approximately 150 pounds. I plan to feed him mixed and grass hay with minimal to no grain. Because of this I feel he needs a vitamin/mineral supplement to make up for any deficiencies due to hay quality. Any suggestions? L.S. It sounds like you’re on the right track to weight loss in your horse! First we’ll review your diet strategy then we’ll get into exercise, the other key component. Finally we’ll discuss a growing problem in horses, Equine Metabolic Syndrome, to make sure this isn’t the reason your horse is overweight to begin with. Include your veterinarian in the process to make sure your horse stays healthy while he sheds those pounds. Horses require 1.5 – 2 % of their body weight each day in food (that’s 15 – 20 pounds for a 1000lb horse), and most of this should be supplied as forage (hay or pasture). Sweet feeds or any feed with cereal grains such as oats and corn should not be on your horse’s menu, as they are very high in sugars and starches. However, forage alone probably can’t provide the minimum daily requirements of nutrients such as vitamins and minerals your horse needs, so you’re right to supplement. There are two ways to approach this gap: 1) feed a commercially available ration balancer or 2) provide a multi-vitamin/mineral supplement. Whichever route you choose, think about having your pasture or hay analyzed so you really know what your horse is getting. If, after a few months, you don’t see any weight loss, it could be because your forage is high in non-structural carbohydrates so your horse has been eating sugar all along! Or, it could be because you are overfeeding forage. An overweight horse probably isn’t going to drop pounds on pasture, but neither will he lose weight if he’s getting too much hay per day. Weigh your hay and try to feed only 75% of his daily requirement (in several small meals) until he reaches his ideal weight. No matter how diligent you are with his diet, however, he may not lose weight unless exercise is part of the program. Turnout into a dry lot is beneficial, but many overweight horses don’t move around too much on their own. You are going to have to provide him with controlled exercise such as hand-walking, lunging, riding, ponying or driving. If he’s not used to exercise or has any medical conditions that prohibit him from being worked, consult with your veterinarian first and start slowly. Finally, if your horse has a cresty neck, fat pads in other places, and is prone to founder, he may have Equine Metabolic Syndrome (EMS), a newly recognized disorder in horses. 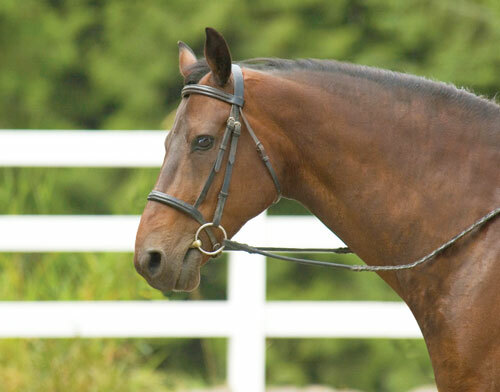 Once lumped in with Cushing’s Disease horses, EMS is defined as a syndrome of obesity, chronic laminitis, and insulin resistance in middle-aged horses. Ask your veterinarian to test for the disorder and if your horse is diagnosed with it, provide ingredients shown to help establish healthy metabolic function such as chromium, magnesium, cinnamon and others, all of which can be found in SmartControl IR Pellets. Yes, as the number of horses are being recognized with cresty necks, along with chronic laminitis owners are finally realizing they are over grazing or over feeding there horse. Many of these horses should be put on the Smart Pak IR Metobolic insulin resistant pellet. Not just for there horses appearance and chronic on and off laminitis issues. But for there horse well being, it is surprising how a horses disposition will change with in a few weeks with having them on a supplement there horses needs. I have found the horse will be much happier and have a more pleasant disposition with Smart Pak IR Pellets. The pellet is specially formulated for metabolic diagnose and will you will notice significant results in your horses attitude and any chronic mild laminitis issues. It is worth spending the money to feed this supplement especially when results are seen quickly and I have found that you can feed 1/2 the ration if your horse is not always chronically lame or if the coffin bone has not rotated. My friends horse needs to loose weight but lo0ves his food and will get angry…..what is a diet where he can eat lots if food that is low calorie and good for weight reduction.